January 17, 2018, Brantford, Ontario – The management team at TruNorth Deck, is pleased to announce that it has acquired the Clubhouse Decking business from TAPCO International, an affiliate of Boral Industries Group. With this acquisition, TruNorth Deck has positioned itself as a leader in the wood free, low maintenance deck, dock and construction board business. TruNorth Deck has finished installation of the infrastructure to hook up the Clubhouse Decking equipment at its 17acre decking production and distribution campus that it shares with its recycling business EPL Plastics. After a short production run to cover immediate requirements, the Clubhouse Decking equipment will be moved to the TruNorth facility and will be running in early February 2018. “We are committed to bringing our manufacturing expertise to this already successful product portfolio and supply the best quality, best value, low maintenance decking available” said TruNorth Composites President and CEO, Ed Hensen. 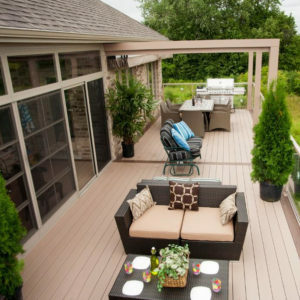 He adds, “We are excited to add this premium offering to bolster our already great value product line and provide greater selection with a focused approach to the deck industry for the Clubhouse Decking customers”. 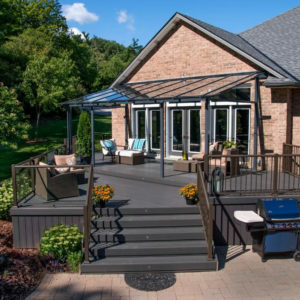 Jon Hensen, VP of Sales and Marketing adds, “This continued investment illustrates our strong commitment to the decking and building products industry. It positions TruNorth Composites for long term success, with industry leading quality, performance, Research and development and value from our North American made and certified products”.